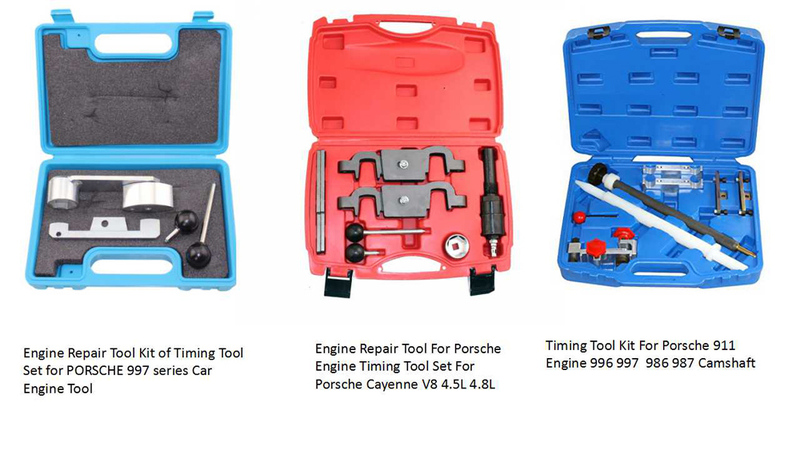 Product categories of For Different Makes Tools, we are specialized manufacturers from China, Engine Timing Tool Kit, Diesel Engine Timing Tools suppliers/factory, wholesale high-quality products of Silent Bearing Removal R & D and manufacturing, we have the perfect after-sales service and technical support. Look forward to your cooperation! Tension Pulley:This is a tension device which is used on the automotive transmission belt system, it is mainly composed by fixed shall, tension arm, wheel body, torsion spring, rolling bearing and spring bushing etc. It can adjust the tension automatically according to the different tightness of the belt, so that the transmission system is stable and safe. The belt is easily to become longer after used for a long time, the tension pulley can adjust the tension of the belt automatically ,make the belt running more smoothly, reduce the noise and anti-slipping. 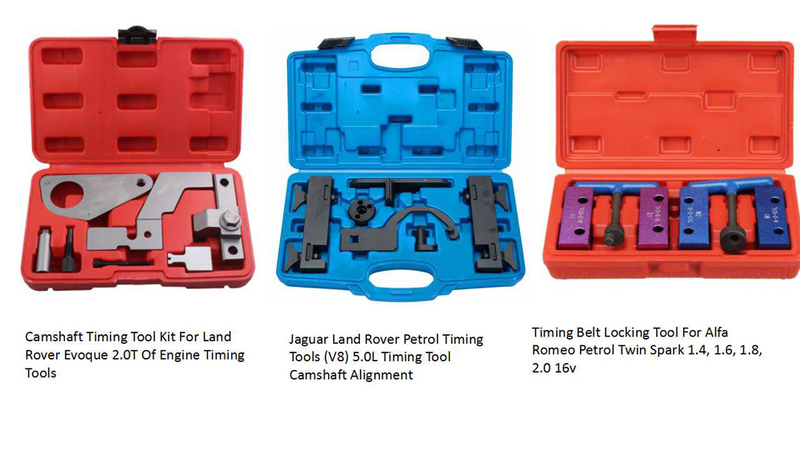 Timing belt: This is a important part of the engine gas system,it is connected by a crankshaft and a certain transmission ratio to ensure the accuracy of intake and exhaust time. Why we use a belt but not a metal gear? 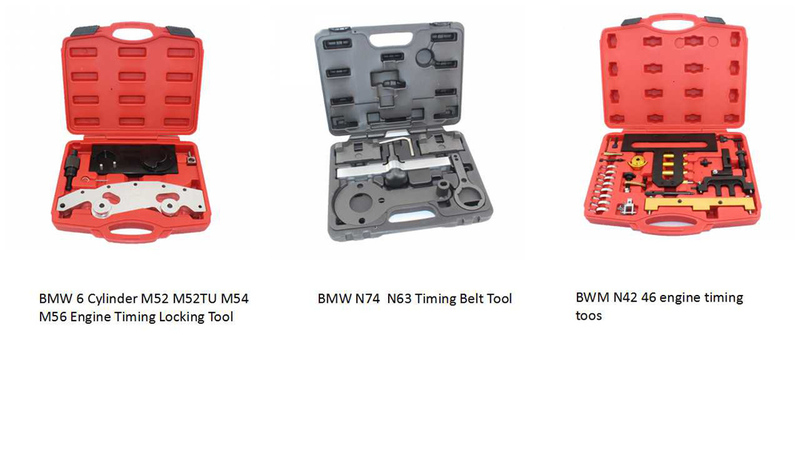 Because the noise of belt is small, rotate accurately, it`s own change is small and easy to compensate. But it`s obvious the life of belt is must shorter than metal gear, so we should replace the belt regularly. 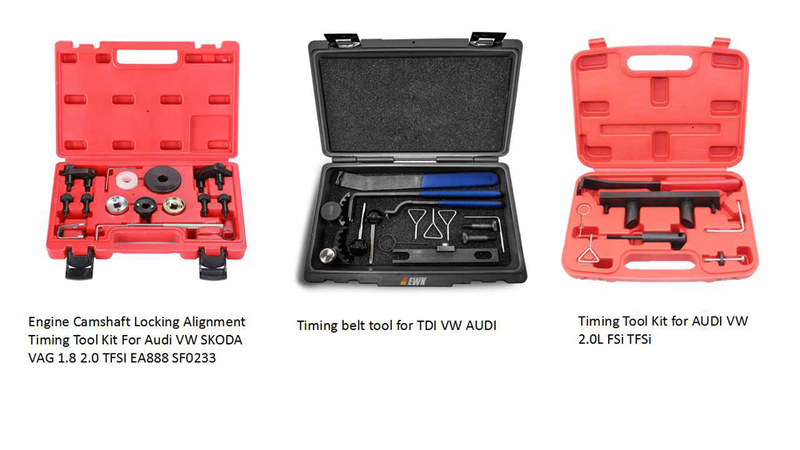 Idle wheel: It`s main function is to help the tension pulley and timing belt, change the direction of belt, increase the bearing angle of belt and wheel. 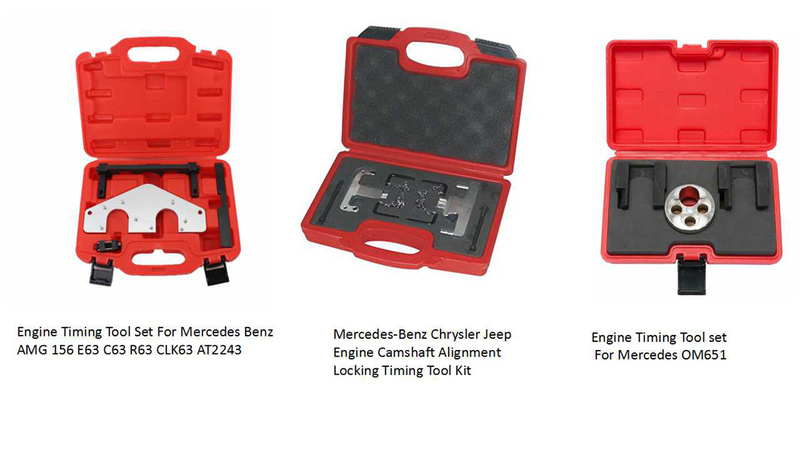 Besides of above parts, the engine timing tool kits also include screw bolt, nut, pad and some other parts.